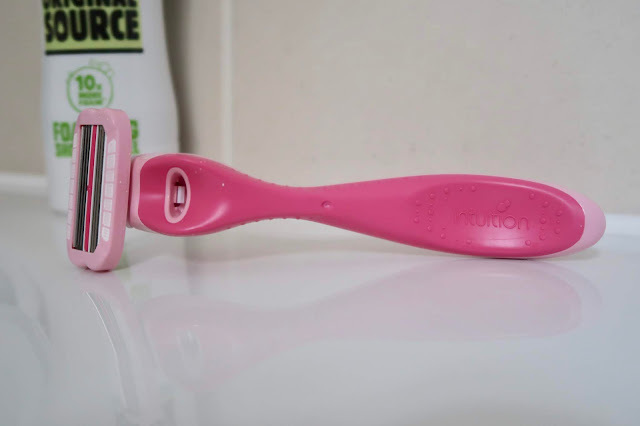 So it might not be as glam as the release of a new contour palette but let's be right, the vast majority of us use razors for one thing or another and we are of course in prime shaving time given that our legs are out more than ever in this stupendous UK heatwave so when I saw the new Wilkinson Sword Intuition F.A.B razor on an advert I was quite intrigued. 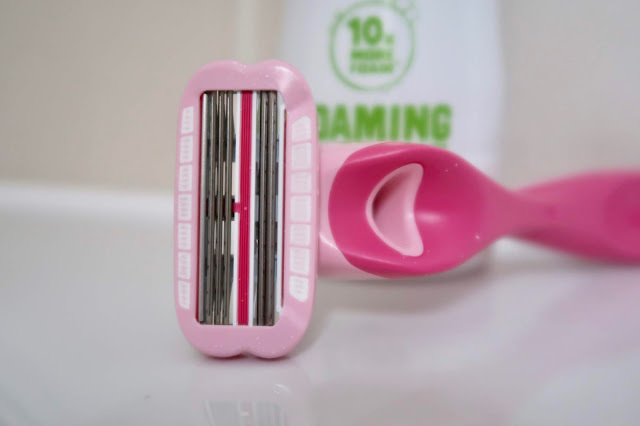 As an avid user of Gillette Venus razors I did wonder whether there was something as good, if not better, on the market (I did have a brief fling with some disposables from Aldi... that didn't end well). The Intuition F.A.B razor claims to be revolutionary in that it shaves backwards and forwards (hence the F.A.B...) so I thought I'd give it a whirl. 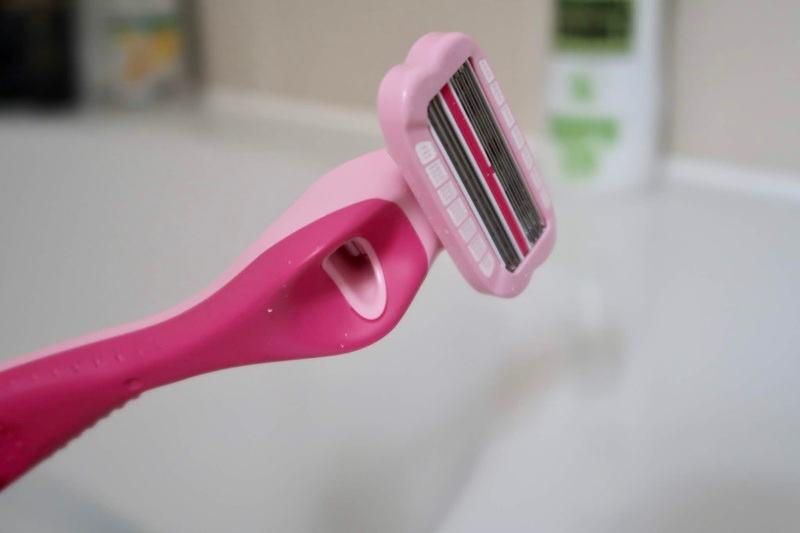 The design of the razor handle is really comfortable to hold, it doesn't slip out of your hand because of the soft rubber and the grooved grips help to give really good control over where your shaving which is obviously essential because it moves with the contours of your body without any awkwardness. The razor head itself is quite substantial in size and is surrounded by a water activated gel which for me is an absolute must because I find it provides so much more comfort when shaving because it doesn't pull or graze your skin even if you don't use loads of shaving gel/foam (I actually don't use shaving gel or foam I just use foaming shower gel which works just as well with a razor like this). It has 5 blades all together which ensures that you get a smooth, close, comfortable shave. The 'forward and back' element of this razor does take some time to get used to because obviously the natural movement is to just move one way but once you get used to the fact that you can actually shave backwards and forwards it makes things surprisingly easier than normal razors and I seemed to get a much closer shave (presumably because it's catching the hairs both ways so even the smallest of hairs get a close shave). I find that the F.A.B razor actually made shaving quicker because you don't have to lift it from your skin until you want to wet the razor. At £11.99 for blade refills the price point is similar if not slightly cheaper than its main competitors, the initial outlay for the razor handle plus one blade is slightly higher than Venus (£11.99). Just a quick note aswell, you need to buy the specific F.A.B handle to use the backwards and forwards blades as they don't fit any other Wilkinson Sword handles. 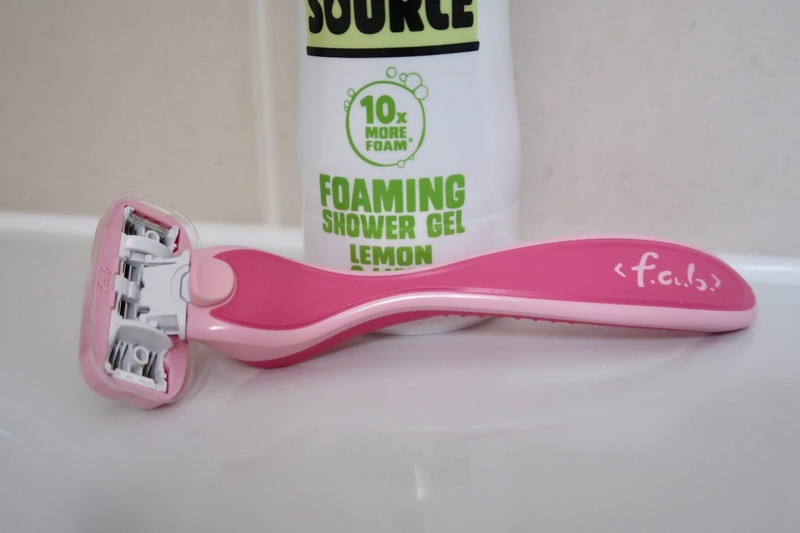 I'd definitely recommend this razor for anyone who's looking for a slightly quicker yet still comfortable and close shave. Do you prefer refill or disposable razors?